N.S.A. has been inquiring impertinently into the networks of Huawei which is a Chinese telecommunications giantand is third largest manufacturer of smartphones in the world behind Apple and Samsung. Huawei brags that about third of the world’s population connects through their networks. Interestingly enough, Huawei has been long considered a threat to the national security of USA and American officials have been very provocative about warning of Huawei’s connections with the Chinese government and People’s Liberation Army (P.L.A.). American officials fear that Huawei may be creating a back door into the government and corporate resources of the US and hence have been blocking it from business deals. According to the leaks, the N.S.A. 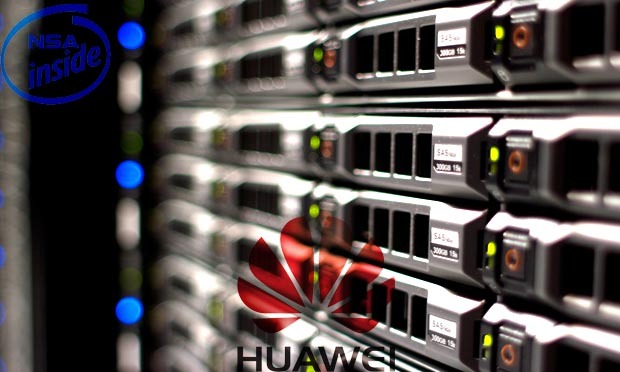 successfully breached into the well protected servers of Huawei located at the headquarters of Huawei in Shenzhen, the industrial hub of China.The operation was code-named “Shotgiant” and its initial purpose was to investigate the link between Huawei and P.L.A. but the operations were expanded to look into possibly using Huawei’s technology as a potential tool to conduct surveillance and perhaps cyberoperations in both US allies and unfriendly countries which are using Huawei’s technologies which indicates an intensifying cyberwar between United States and China. The N.S.A. is keeping a close eye on Chinese hacking groups which try to tap into cyber resources of both US government and companies. More than half of these groups are directly affiliated with Chinese Army and Navy and even target sensitive companies such as nuclear and weapon part manufacturers. The attacks are accelerating at a staggering rate and has caused enough concerns to start talks between the heads of the two nations about cyberwar. The White House clearly states and assures that N.S.A.’s operations in foreign networks are strictly for legitimate national security reasons and it does not share the information with companies to provide them with a potential leverage over their competitors. Contrary to the popular belief among US officials, the report fails to establish a connection between Huawei and Chinese government and army. A much recent unclassified report by the House Intelligence Committee, published in 2012, also revealed no link with the Chinese government which is in accordance to the stance that is maintained by Huawei officials. But the committee still suggested caution and baring Huawei and ZTE, another Chinese telecommunications company, from acquisitions and takeovers in US. Which is literally what US officials have done aggressively by: forcing Sprint to back of a multibillion deal with Huawei; blocking the purchase of 3Com; and pressurizing allies to abstain from getting involved in any big projects with Huawei. Huawei has complained that its business has been affected by the concerns of the US officials about national security despite being not proven of having any links with the Chinese government. A senior Huawei official in US stated that the company had no idea that it was being investigated by N.S.A. and, in his personal opinion, this shall be taken as a proof that Huawei is free from any ties with any governments.